Viewers will get an intimate look at WINNER’s Song Mino and Kim Jin Woo’s everyday life! On October 20, MBC’s “The Manager” aired a preview of next week’s episode at the end of the broadcast. In the clip, WINNER’s manager introduces himself and appears on the show to report something about the members. The clip shows Kim Jin Woo and Song Mino performing on stage and then gives a glimpse of what they’re like off stage. Kim Jin Woo lays on the couch while staring off into space, while Song Mino sits in front of the sewing machine. 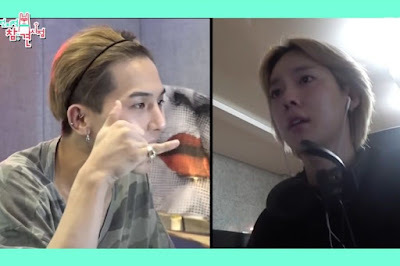 The preview ends with Song Mino and Kim Jin Woo talking to someone. The video also includes a preview of cast members Lee Young Ja and her manager going on a trip together. However, they run into their first hurdle when she comments that a certain rest stop makes good twisted, sweet rice bread and looks dismayed at her manager for only grabbing coffee. Park Sung Kwang and his manager also head to the set of KBS 2TV’s “Gag Concert” to help out his juniors. His dog, however, becomes the center of attention to the other comedians. Catch this episode of “The Manager” when it airs on October 27 at 11:05 p.m. KST.